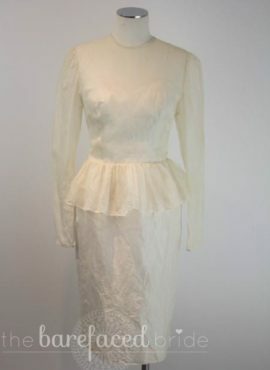 Vintage white chiffon whimsical long bridal gown with detailed frilled sleeve and scoop neckline. 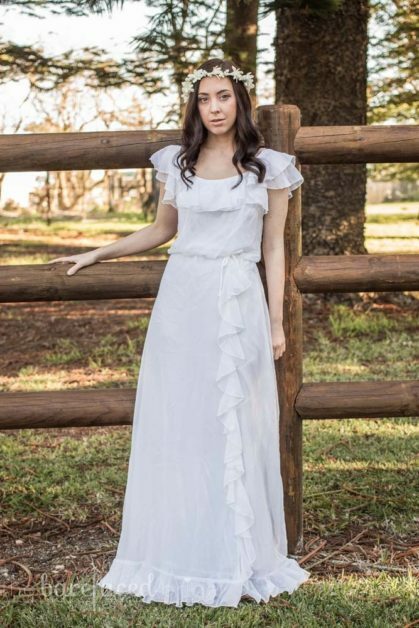 Frill feature continues on the front of the dress skirt and hemline and comes with a separate belt sash. 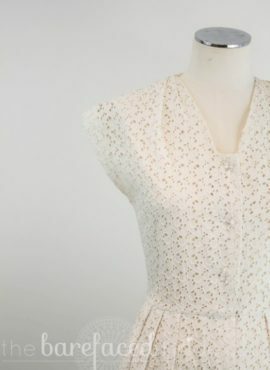 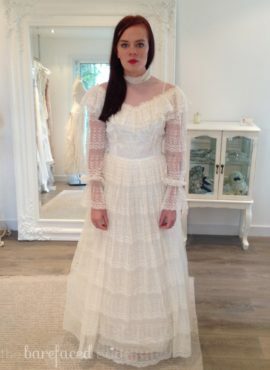 This vintage dress is available to try on at The Barefaced Bride studio.